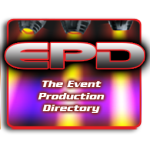 Android Version of EPD App (Event Production Directory) now Available. In mid-2014, the Event Production Directory (EPD), the Bible of working event planners and production professionals, made the jump from the printed page and Internet browsers onto iPhones and other iOS devices. 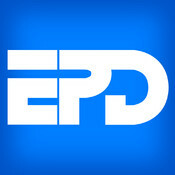 Now, less than half a year later, a version of the EPD App can be used on Android devices as well. Although the availability of the EPD App for both iOS and Android users is a relatively recent development, it’s not the only electronic alternative to the printed version of the annual directory. 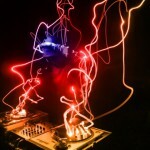 The Event Production Directory has been an online searchable database at epdweb.com for more than a decade. As such, notes Timeless Communications general manager William Vanyo, users of any mobile device with access to the Internet also had access to the EPD website for years, and the ability to search and find any of the companies in the database. (Currently the total number of companies listed is 4,353). 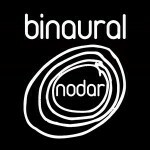 So what makes the app so revolutionary for mobile device users? It takes the convenience of accessing the database to a new level, leveraging the innovations of mobile device technology to let users easily filter searches from any radius of their current location, for example, or by the radius of any city they manually choose. 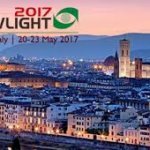 There are 19 different selections by type of company (Lighting, Pyro, Sound, Video, Freight Forwarders, Generators, etc.). You can search by brand name of gear each company owns or search for that specific company. Once you find what you’re looking for, another touch makes the call or emails your look-up. And the company’s websites are all there, as are their exact street location. The EPD App is perfect for sourcing vendors in the city where your event is taking place or when you’re on a show site and the sound companies console blows up. You can quickly search for a replacement (even by brand) and find the nearest place you can get another one. Or maybe you’re working that big festival and your follow spotguy doesn’t show up. Select “Labor Companies” and get a qualified replacement.